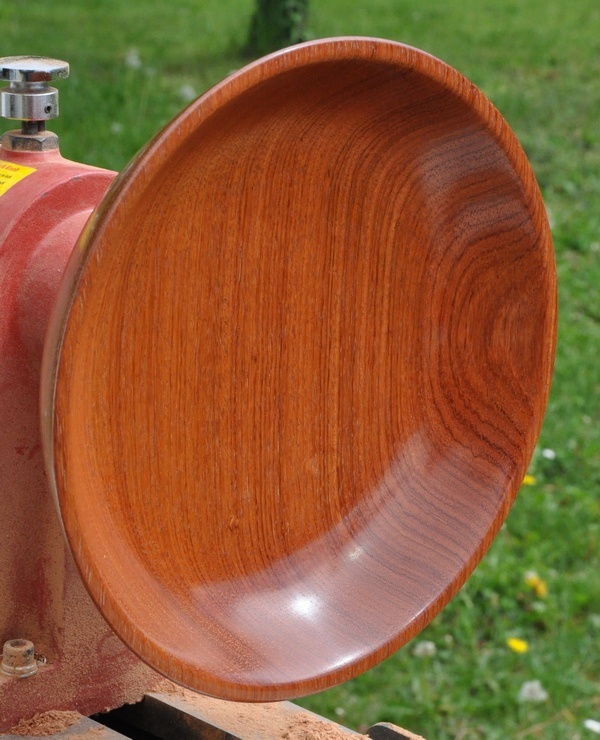 Color/Appearance: Heartwood generally ranges from a light yellow-brown to a darker orange or reddish brown. 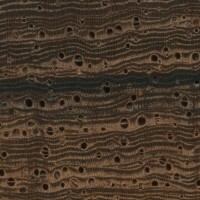 Darker black streaks are common, and can produce a grain figure known as “spider-webbing” or “landscape,” also found on Brazilian Rosewood and Ziricote. Pale yellow sapwood is clearly demarcated from heartwood. Grain/Texture: Grain is usually straight, with a uniform medium-fine texture. 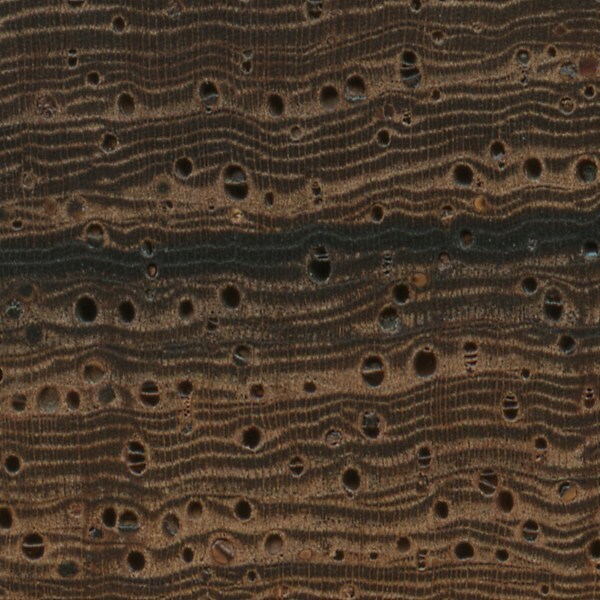 Endgrain: Diffuse-porous; medium to very large pores in no specific arrangement, very few; commonly in radial multiples and clusters; heartwood deposits (amber or brown) present; growth rings usually indistinct; narrow rays not visible without lens, spacing normal to fairly close; parenchyma diffuse-in-aggregates, vasicentric, winged, and banded (ranging from thin to very thick bands). Rot Resistance: Ranges from moderately durable to very durable depending on the species. Workability: Generally easy to work with both hand and machine tools, though depending on the species, it can blunt cutting edges rapidly. Care should be taken in gluing and finishing, due to natural oils in the wood that can disrupt the drying process. Turns and polishes well. 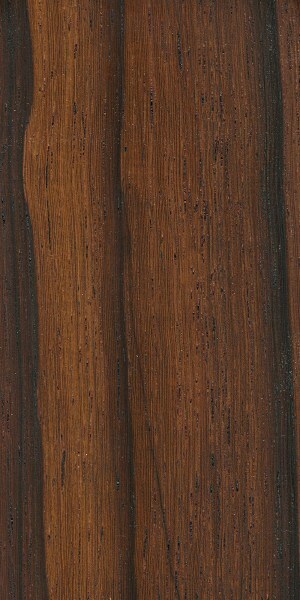 Odor: Madagascar Rosewood has a distinct, rosewood-like scent while being worked. 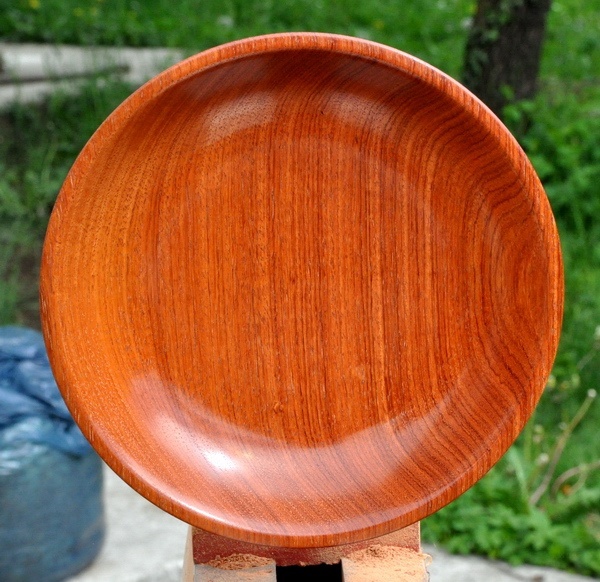 Allergies/Toxicity: Although severe reactions are quite uncommon, rosewood in the Dalbergia genus, (such as Madagascar Rosewood), has been reported as a sensitizer. Usually most common reactions simply include eye, skin, and respiratory irritation. See the articles Wood Allergies and Toxicity and Wood Dust Safety for more information. Pricing/Availability: International trade of this wood is currently (and rightfully) restricted. National parks and other protected areas within Madagascar have been plundered for their valuable rosewood logs. 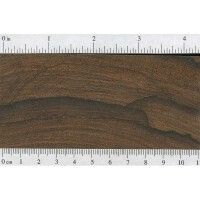 At present, only residual stockpiles of small turning and carving blanks are available at very high prices. Sustainability: Madagascar Dalbergia species are listed on CITES appendix II under the genus-wide restriction on all Dalbergia species—which also includes finished products made of the wood. These Madagascar species are also listed on the IUCN Red List as vulnerable due to a population reduction of over 20% in the past three generations, caused by a decline in their natural range, and exploitation. Common Uses: Veneer, musical instruments (guitar bodies and fingerboards), furniture, cabinetry, inlays, carving, turned objects, and other small specialty wood items. 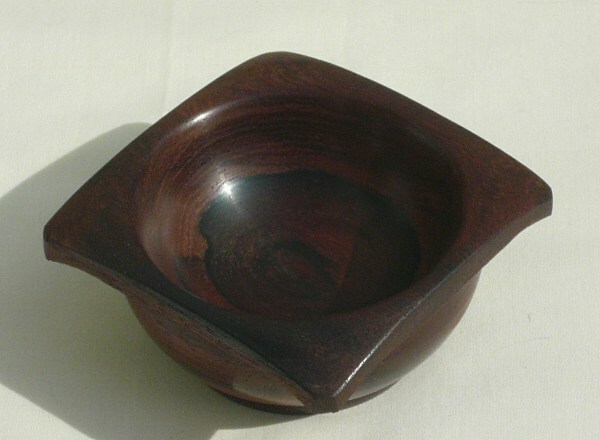 Comments: Madagascar Rosewood is comprised of a number of Dalbergia species only found on the African island of Madagascar. 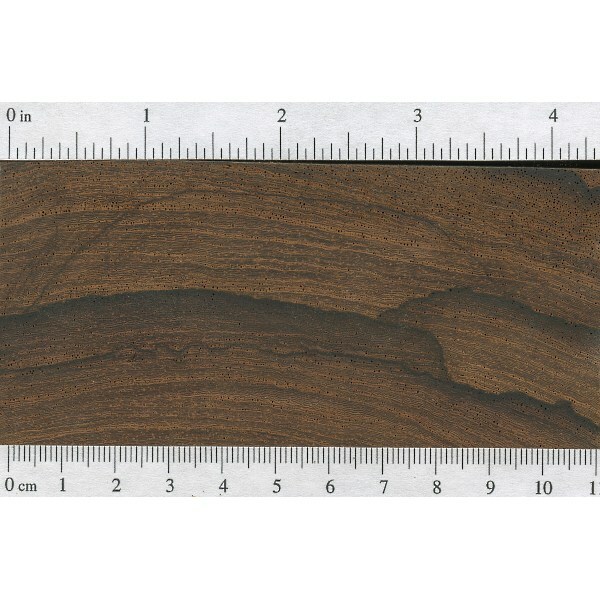 The deep purple wood of Bois de Rose (another species endemic to Madagascar) is also referred to as Madagascar Rosewood, though this confusing label is more often used for the black-striped wood of Dalbergia baronii. After a dogged search of several years, I found and bought this billet of Bois de Rose (dalbergia maritima) about 15 years ago, before CITES. This is the color freshly sanded. After lots of UV, it turns almost black. 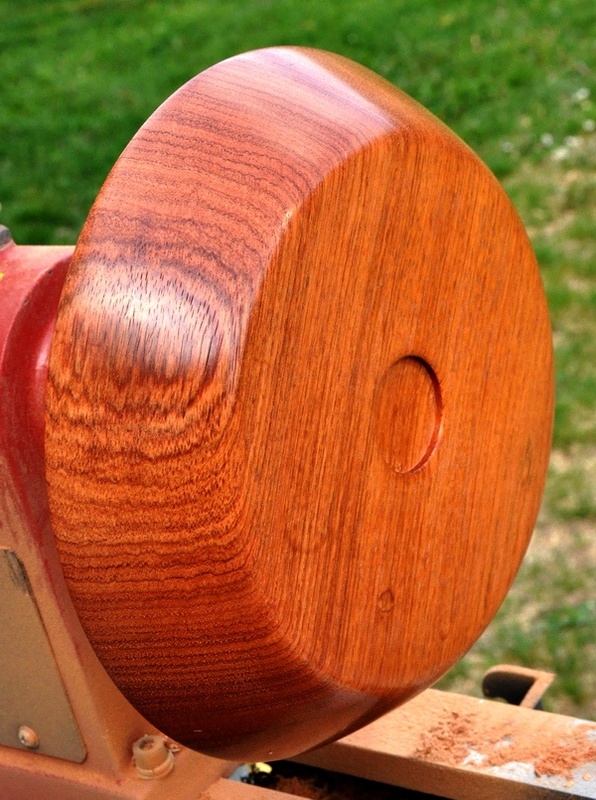 I’m a luthier with a LOT of different woods, but this is the most beautiful by far. Smells like roses. Has a character like Brazilian. Awesome!! Need to find a UV finish for it. 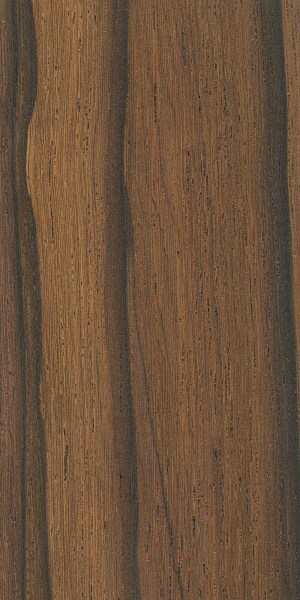 I bought a flitch of this about 20 years ago ( and the veneer was old then). I’ve never seen a veneer that splits as readily as this. Much more so than white ash does. I’ve heard recently that it now requires a certificate of source as its made it’s way into the most endangered CITES category. Described as the color of ” ox blood”.